France Trampoline provides a solution to increase your net’s and boltrope’s life-span: a straight A4 stainless steel shackle. This part will act as an intermediary between the boltrope and the tensioning cord to avoid any friction which would degrade both elements. 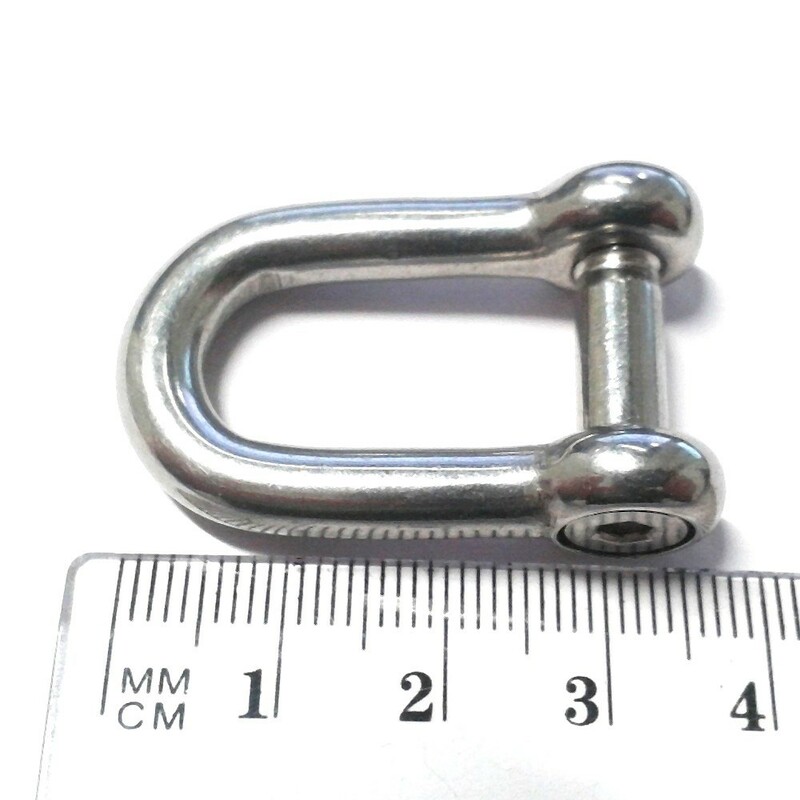 - The shackle is made up of a « U » that is 22 mm high and a removable pin with Allen screw. 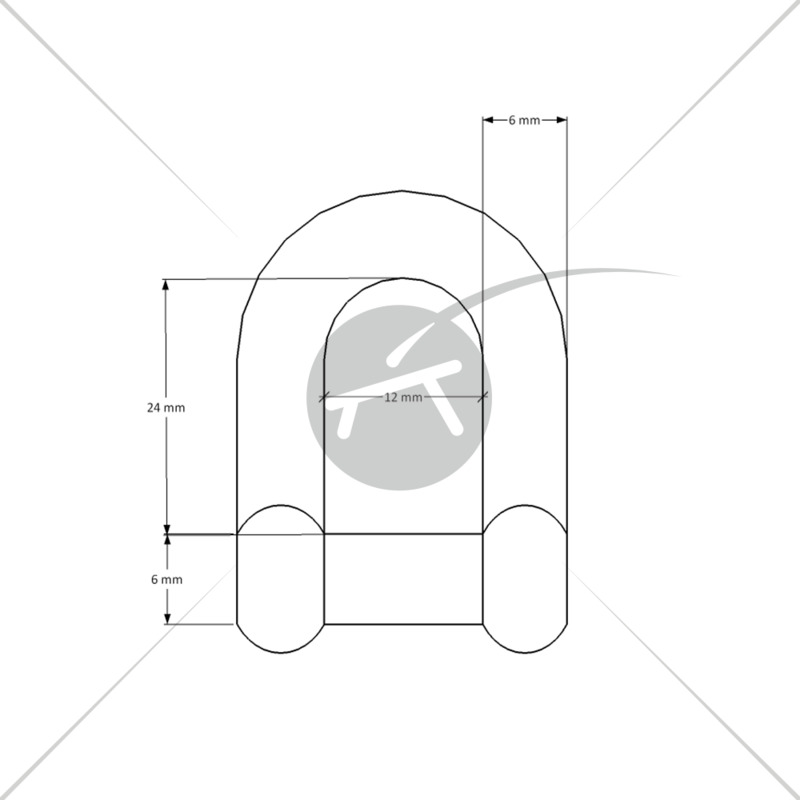 - With a breaking load of 1 ton, this accessory will not only give you peace of mind but will also make your installation more aesthetic as the shackle is polished to avoid damaging the cord and the boltrope. 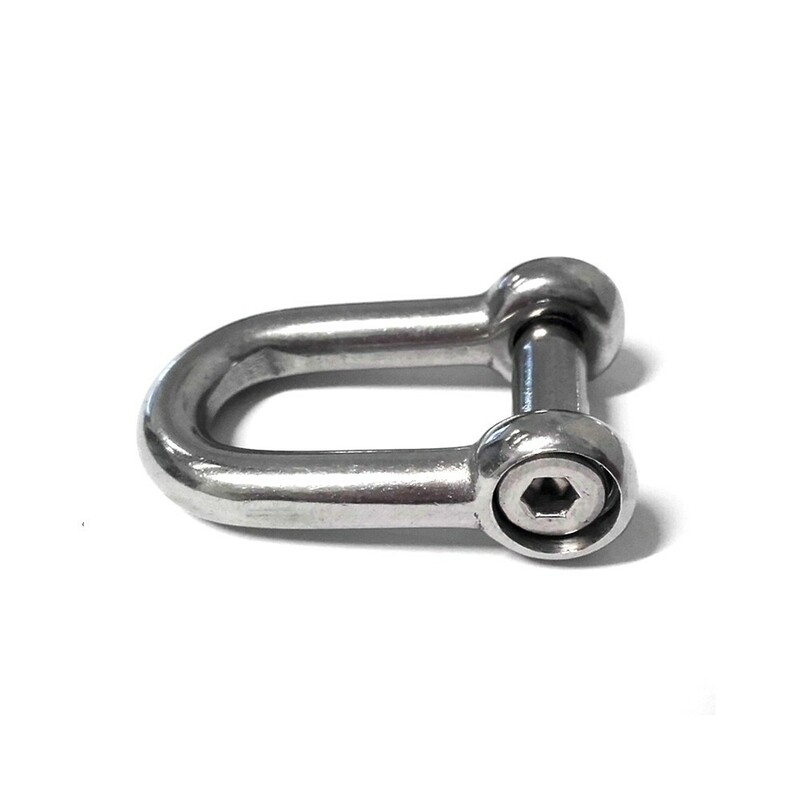 - Made from stainless steel, this shackle is adapted for indoor and outdoor use. - The shackles must be placed around the boltrope of your net and placed in front of the fixings on your supporting structure. This will allow you to proceed to a regular and aesthetic lacing. - Suspended house nets tend to stretch slightly in time. Using the shackles will make tightening your net a lot easier. 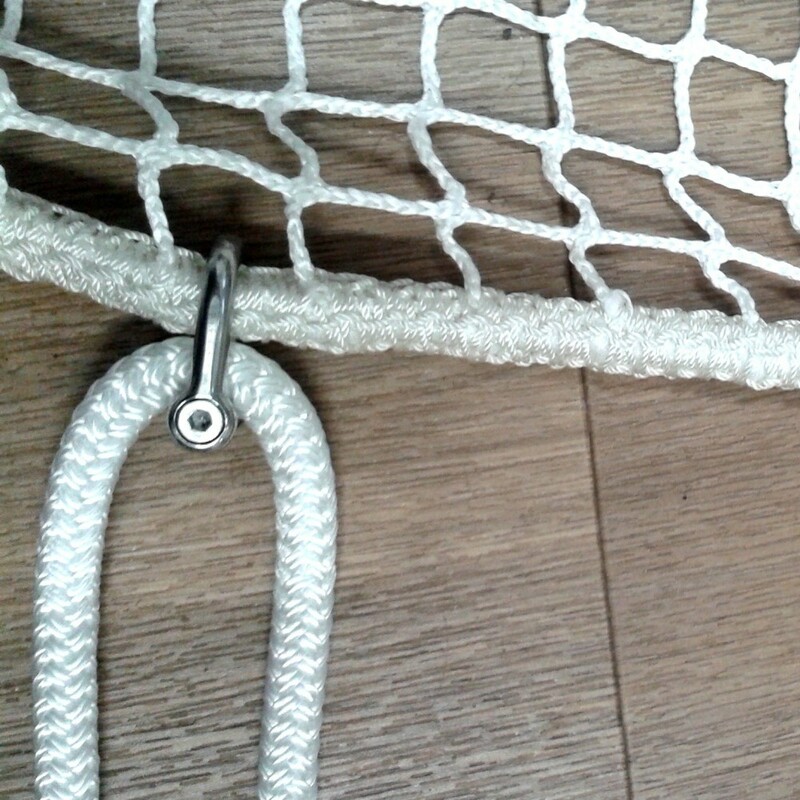 - For guard rail nets (in a vertical position), with or without a boltrope, you can also use the shackles around the edge of the net to fix it. - All of France Trampoline’s tensioning ropes (from 4 mm to 10 mm diameter) are compatible with our shackles.